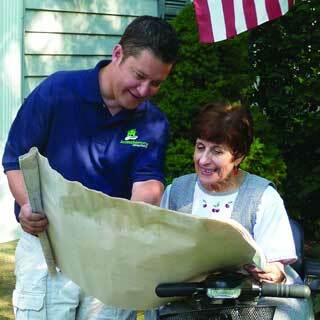 Accessible Home Consultants is a design and construction company located on the West Side of Cleveland. We provide universal and accessible evaluations and design for seniors, special needs children, and disabled veterans. Joel Sage founded Accessible Home Consultants after noticing a growing need with his clients over the years. The home modification process made life simpler and safer for his mother, who lives with post-polio syndrome and uses a wheelchair. We look forward to helping you, or a loved one, achieve the same level of freedom and safety. Through these personal and professional experiences, Mr. Sage became certified in the area of universal design and home modification from the University of Southern California–Andrus Gerontology Center and obtaining an Executive Certification in Home Modification (ECHM).